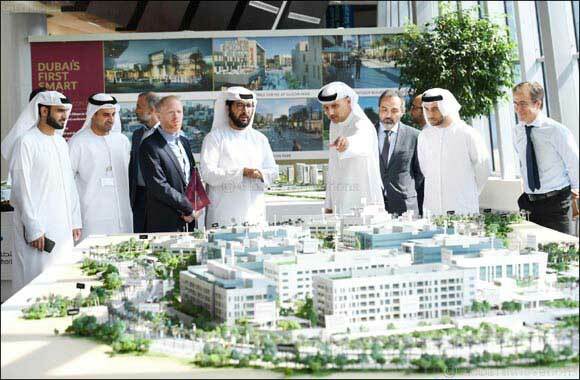 Dubai, UAE: 10th January 2019: Smart living is set to become a reality soon as du, from Emirates Integrated Telecommunications Company (EITC), announced that it is well on schedule to deliver smart city services at Silicon Park, Dubai’s first integrated smart city project taking shape at Dubai Silicon Oasis. For the first time, du has partnered with Orange Business Services, the business services arm of the Orange Group, to deliver a complete range of smart city services for Silicon Park that is set for completion by Q1 2019. Operationally, the main data centre infrastructure is already up and running, and over a third of all services are now in various stages of implementation. It is estimated that by the end of Q1 2019, the Internet of Things (IoT) gateways will be commissioned. This will be crucial in driving smart management of environmental practices at Silicon Park. Operational Management System and Integrated Operations Centre: A network management system that acts as the central nervous system for the smart district. It helps operators consolidate all information from installed smart devices on the park. This enables them to react quickly in dealing with any technical problems and optimise the operational efficiency of district assets. Community Portal: A web gateway that streamlines the experience of residents and clients trying to access the facilities of the district. Energy Management Solution: This helps companies at the park manage the energy efficiency of their occupied spaces, paving the way towards predictive energy management services. Enterprise Application Integration Solution: An information and messaging hub connecting all enterprise applications in a seamless information exchange network. Project Management Office: To ensure timely and high-quality delivery of the programme, the office will coordinate with multiple stakeholders and all contractors, including DSOA’s ICT division, DSOA’s operations division, architects, and the external ICT vendors who are contributing to the technology and infrastructure operation. Enterprise Architecture Office: This lays down the architectural guidelines for the technology master plan of the district and drives the whole systems engineering process, while observing widely accepted frameworks (TOGAF). Once launched, Silicon Park that is constructed with an investment of 1.4 billion, will be supported by smart energy solutions, environmentally sustainable mobility, and smart public amenities and services, all devoted to creating a high quality of life for people living, working and visiting the project. Keeping the objectives of the UAE Vision 2021 in mind, Silicon Park also reflects global trends for smart cities and incorporates most of the KPIs of the UAE National Agenda, including cohesive society, safe public & sustainable environment, and a modern holistic lifestyle.